Marigold, Nasturtium, Rhubarb, Sage, Dill, Chamomile, Coriander and Lettuce. Sow direct into final growing position. 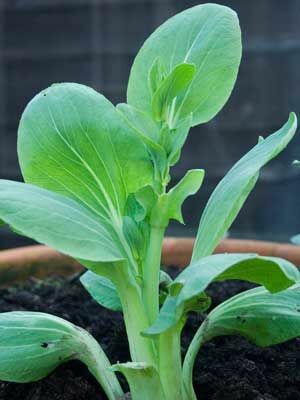 Pak Choi can also be started in containers. Use fine mesh or exclusion netting over the summer to prevent butterflies laying eggs on the underside of leaves - caterpillars can destroy these plants. Keep soil moist in dry weather. Harvest when plants reach a suitable size.